Vivian Keh back for my last post with y'all before the Christmas festivities begin. As promised, I have another Christmas card to share. And let me tell you, I don't think it gets much easier than this. Kraft cardstock and white pigment ink, folks! A timeless pair that I'm pretty sure I will always adore. Cut that card, fold it in half. Distress the edges if you like. Stamp your snowflakes and a one word sentiment. 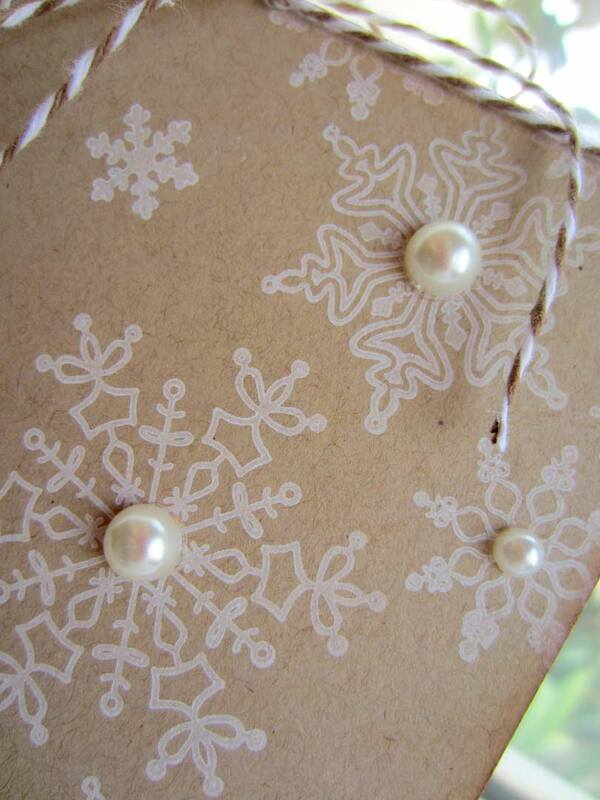 Add a few pearls and wrap twine at the top. Simple, elegant, and most importantly, DONE. A shameful fact about this die-hard crafter - I was so ambitious with last year's holiday cards that I never finished them :-/ Only half got sent out. This year, I will succeed, and the mantra in the craft room shall be "EASY." 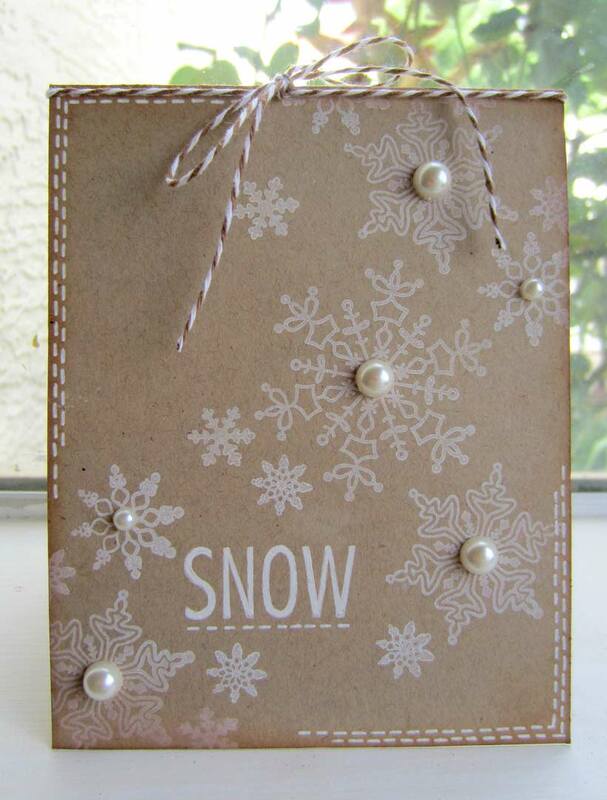 I think if I could only get one stamp set for Christmas cards, this would be it - snowflakes in a range of beautiful shapes and sizes and sentiments appropriate for everyone. Hope you enjoyed - Happy Holidays, y'all! See you back here in 2013, boyeeee! Thanks again for hopping with us! Aren’t the Cheery Lynn Design Dies GORGEOUS!? Please email us at hamptonartstamps@gmail.com with your mailing address to claim you prize!